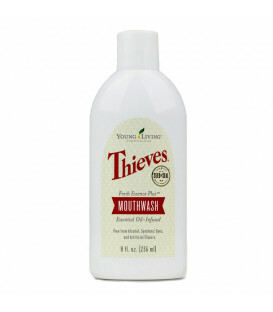 With a high quality all-natural ingredient list, as you gently clean your teeth you freshen your breath using pure, therapeutic-grade essential oils that literally destroy harmful bacteria in and around the gums and throat. 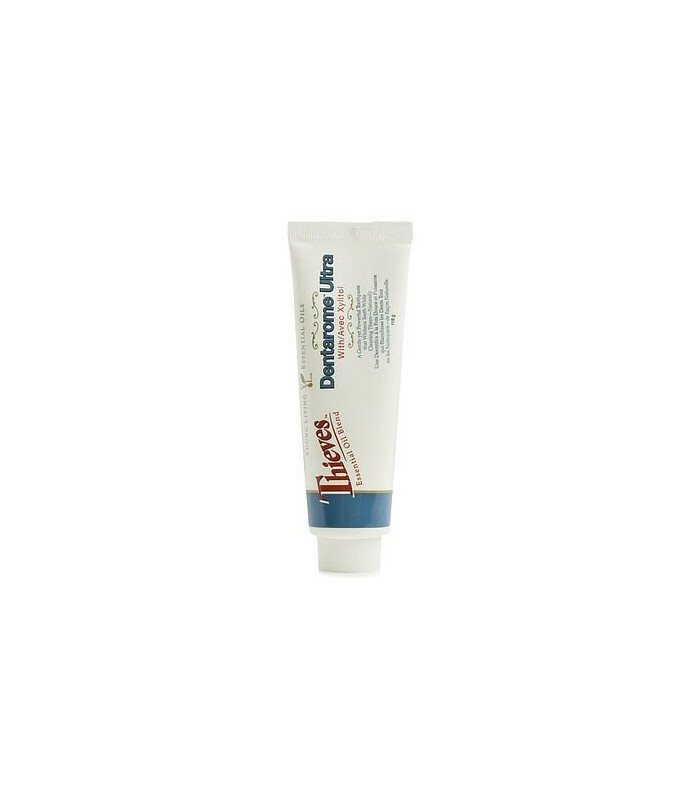 If you like a toothpaste that has a consistency of moist micronised calcium that leaves the most beautiful feeling on the teeth, then Dentarome Ultra is for you. It's the best toothpaste we've found on the planet so far. No flouride, sodium lauryl sulphate, sugar, or synthetic chemicals or colours. 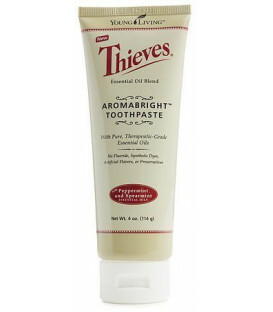 With long lasting control of plaque and bad breath, Dentarome Ultra contains the famous Thieves essential oil blend. 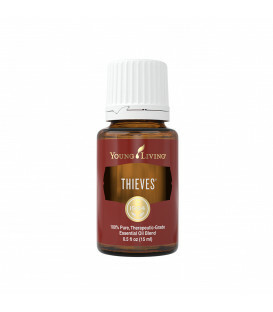 This blend of pure plant-derived essential oils has been thoroughly testes for its amazing properties. It leaves the normal toothpaste's you find in all the shops so far behind it's ridiculous. It's a toothpaste you'll be happy using! 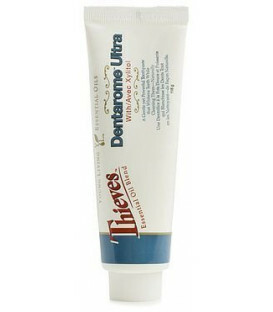 Brush teeth thoroughly with Dentarome Ultra after meals or at least twice daily to help maintain healthy teeth and gums. Calcium carbonate, Essential oil concentrate containing: peppermint essential oil, Thieves essential oil blend (a powerful blend of clove, cinammon bark, lemon, Eucalyptus radiata, and rosemary CT cineol), zinc oxide, deionized water with papain, xylitol, vegatable glycerine, essential oil base (thymol from Thymus vulgaris, Eucalyptus globulus, and methyl salycilate from wintergreen), xanthum gum, zinc citrate, and stevioside. 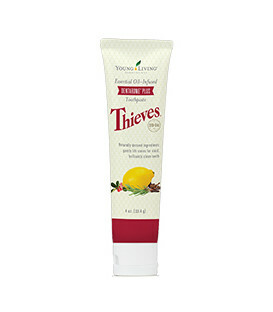 No flouride or sodium lauryl sulphate, sugar, or synthetic chemicals or colours. What's the difference between Dentarome Plus and Dentarome Ultra? There's a couple of differences. The major difference between all three choices is in the consistency and the added thymol and eugenol in the Dentarome Plus. Dentarome and the Dentarome Plus have a more fluid consistency (as there is no micronised calcium binding both these products together). 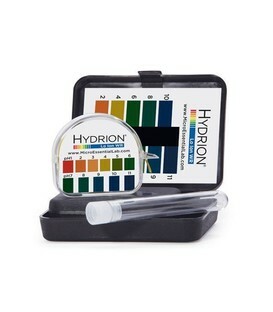 Dentarome Plus has a Plus added because of the added thymol and eugenol (found in clove and thyme essential oils). 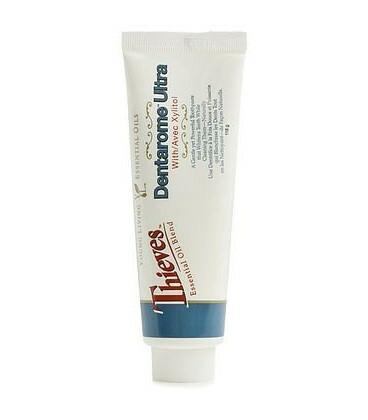 Dentarome Ultra has the added thymol and eugenol (found in clove and thyme essential oils) and also contains micronised calcium carbonate making it a thicker paste.